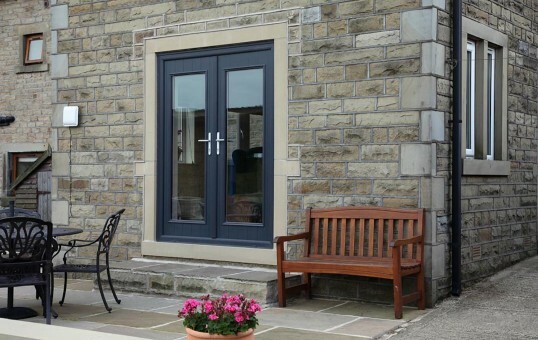 Although previously only available in uPVC, you can now take advantage of all the fantastic benefits of a composite door in a French door style. What's more you can choose any of our existing composite doors designs to be made into French doors for your home, and with the same choice of 20 beautiful colourways inside and out. 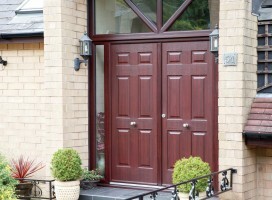 All our doors are also available with either an outward or inward opening option. 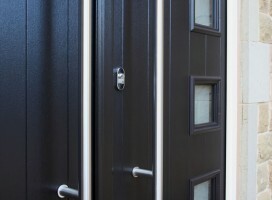 Because we manufacture, supply and install to order we can also provide a bespoke external door service with the ability to incorporate top lights and side panels into the same frame as the door itself. 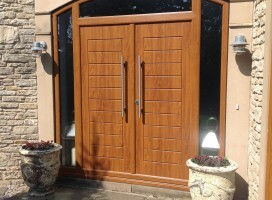 As well as making your new door look aesthetically pleasing, this also ensures that it is extremely secure. All doors feature standard lever operated handles, encompassing a high security, adjustable, multi-point locking system. Your composite French door can also be enhanced with an extensive range of accessories including door handles, knockers and letter plates in a variety of finishes such as bronze, chrome and copper. 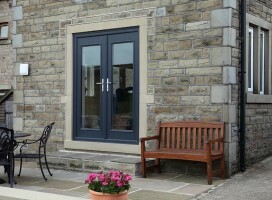 Click on an image below to see examples of doors manufactured and installed by Composite Doors Yorkshire. 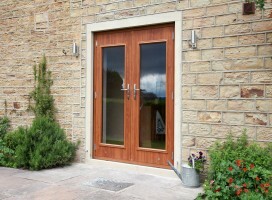 Bespoke French Windsor style composite doors in Golden Oak with 800mm handles, fitted in Selby. 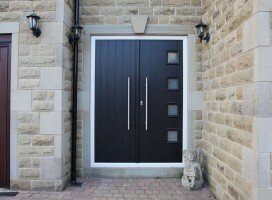 Milano composite French doors in black on cream frame with ES3 door handle and key only security locking option. 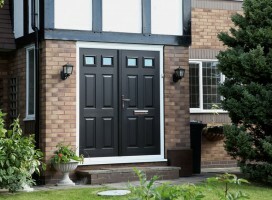 Tenby 2 composite French door in black. 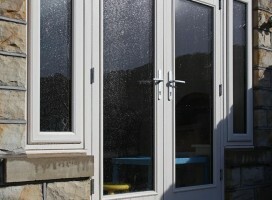 Biella composite French doors with integrated side panels.